Click enlargement to return to Gallery. 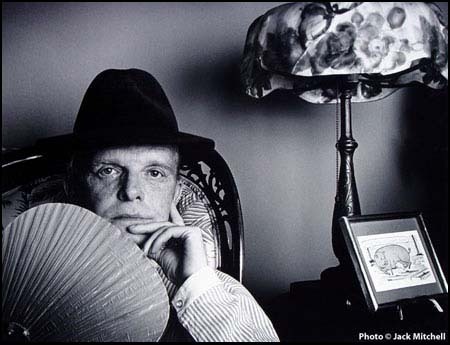 Jack Mitchell photographed Truman Capote in his United Nations Plaza apartment in color and black and white for the Chicago Tribune Magazine. When Mitchell asked Capote why there was water in a vase containing artificial calla lillies, Capote replied "To make them look real, of course!"